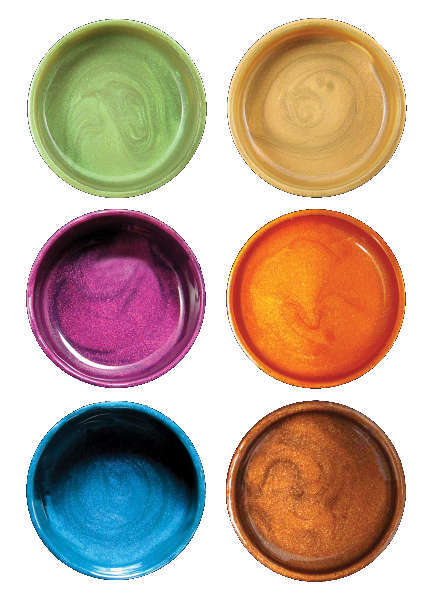 What makes Luminarte/ColourArte Splash Of Color Silks Acrylic Glaze so special? It's the secret mix of mica and other proprietary mineral particles that refract light, like a crystal. 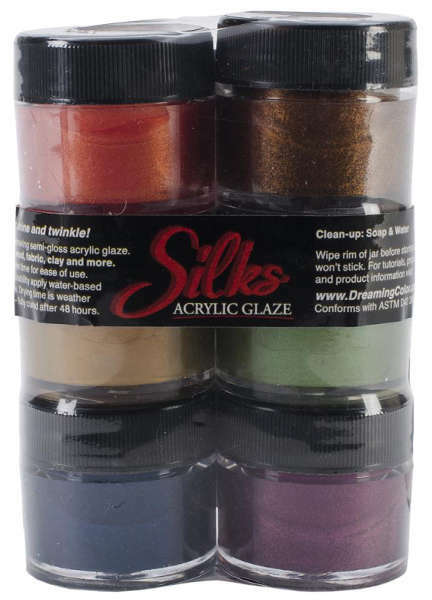 Silks are easy to use paints that create a semi-gloss glaze - not too shiny, not too flat, but just right. Simply brush Splash Of Color Silks onto your project, using a wide brush for broad strokes or a fine brush for details. Or use a brayer if you want even wider swaths of color. Allow Silks to dry between colors to keep the glaze layers distinct and create depth, or blend the colors while still wet if you prefer that effect. Silks are formulated for paper, wood, pre-washed fabrics, papier mache, acrylic and other plastics, canvas, gourds, silk and silk ribbon, terra cotta, paper-clay, air-dry clay, air-dry polymer, leather, faux leather, and more.